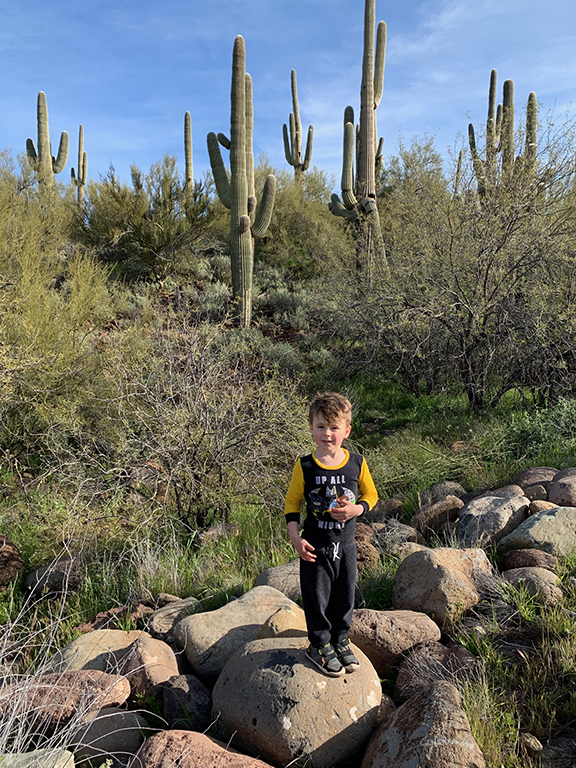 When my grandson Weston is in Cactusland we have a couple things that we do that are mandatory. 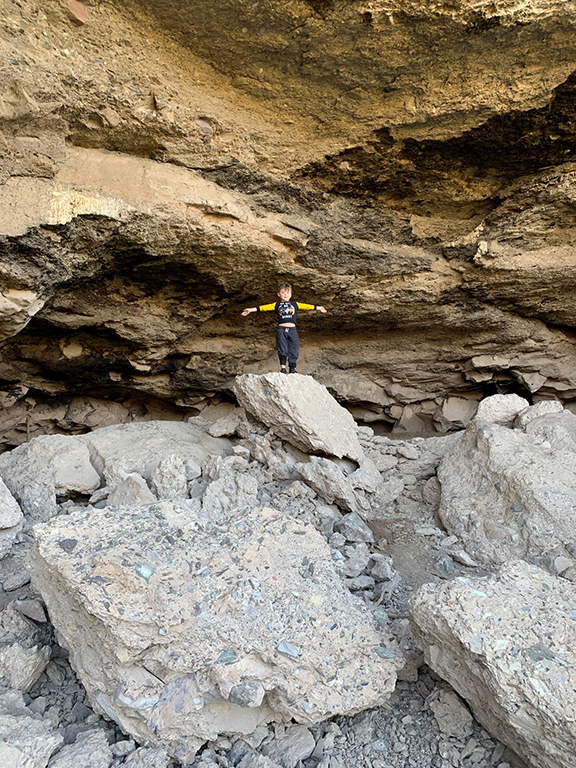 The first thing we do is make a trek over to the cave to get some power. 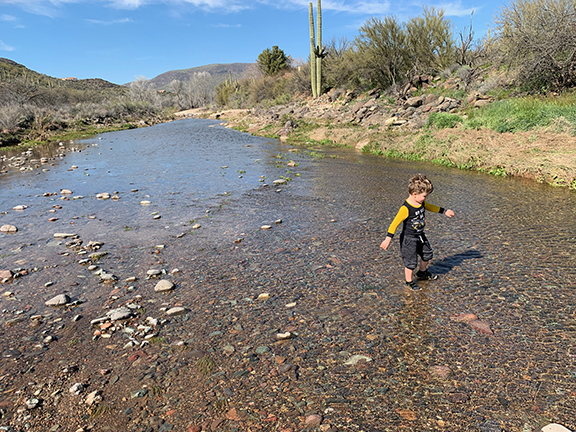 We've had quite a bit of rain lately so that means we have to wade across the creek both coming and going. 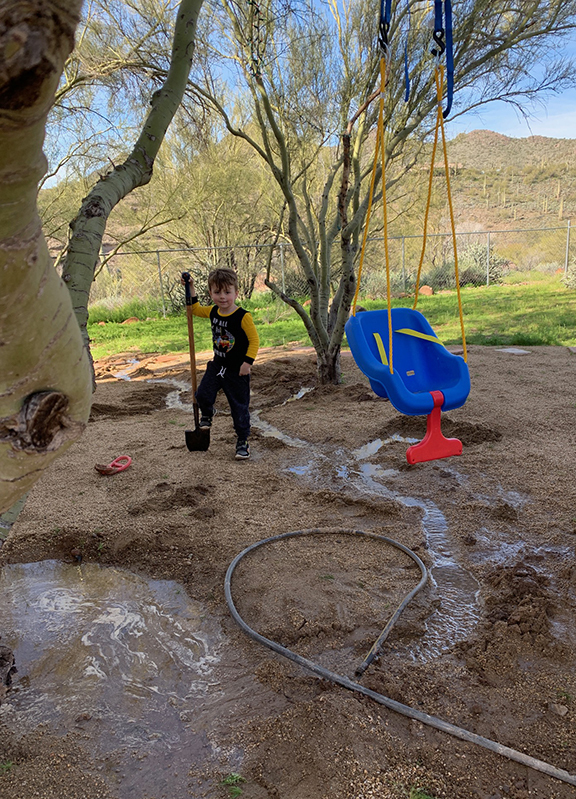 Since his shoes are already soaked Weston works on an irrigation project he has initiated in the back yard. Then it's back out on the trail. 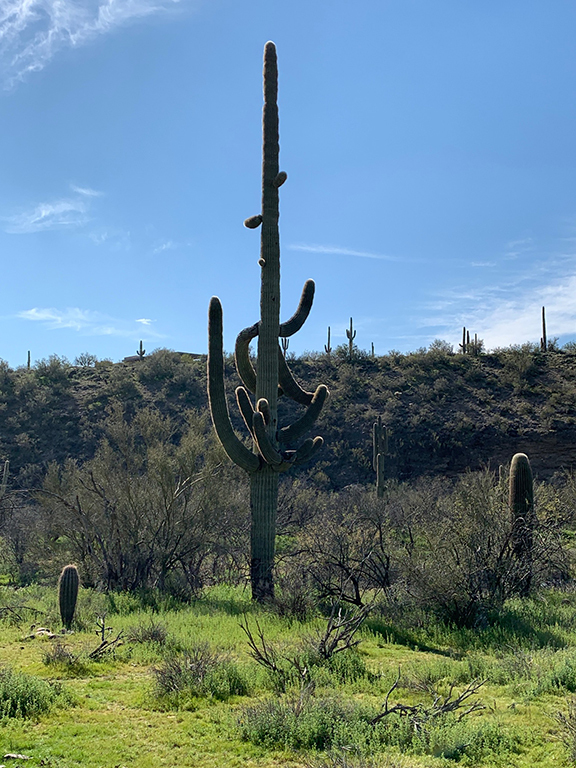 Other times we just go along the creek bottom and admire the crazy shapes of the saguaros. 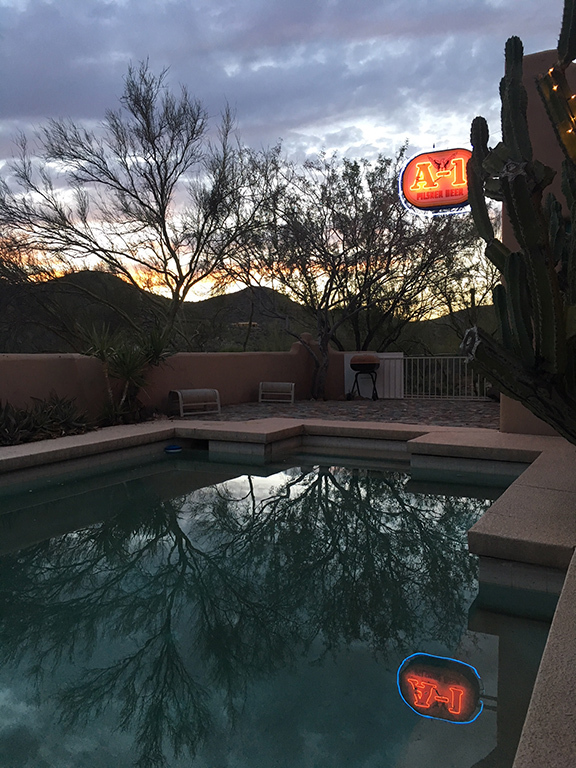 Since these saguaros are in the creek bottom, it gets colder at night and if it freezes, the arms turn downward. 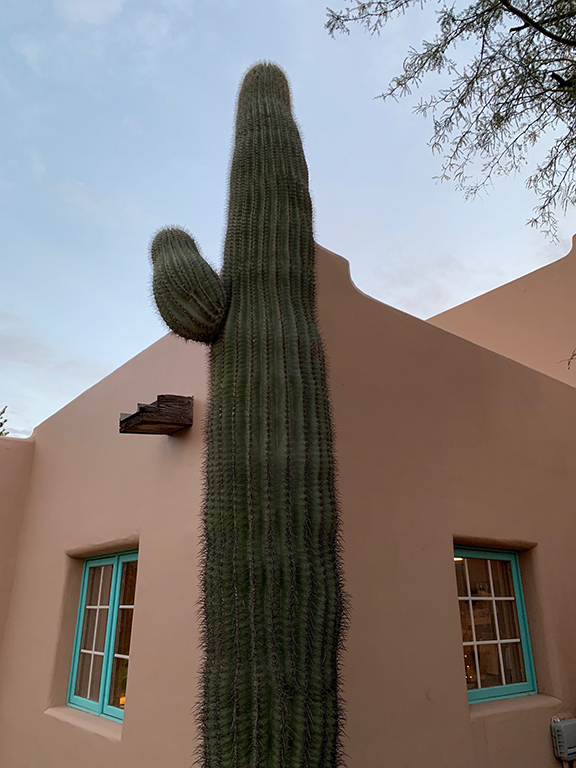 Someone said it takes 75 years for saguaros to grow their first arm, but I know this isn't true because I have a saguaro I planted in the front yard and it already has an arm. When we get finished, there's always time for a little sunset celebration. "Grandpa Ha ha, tell me a nutty story." LOVE THE FAMILY STORIES.....I HAVE 3 GRAND KIDS OF MY OWN...THEY ARE PRICELESS....GIDDY-UP...!!!! Appreciation to my father who stated to me on the topic of this web site, this website is genuinely amazing.